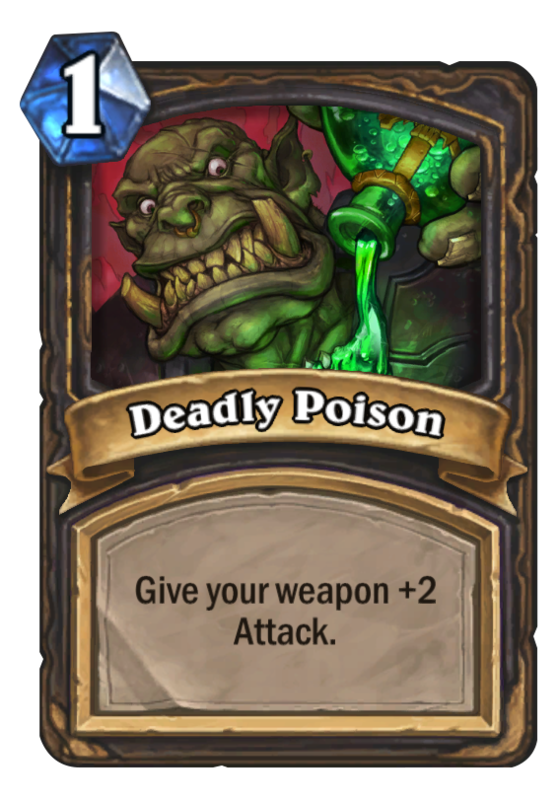 Deadly Poison is a 1 Mana Cost Free Rogue Spell card from the Basic set! Rogues guard the secrets to poison-making carefully, lest magi start incorporating poison into their spells. Poisonbolt? Rain of Poison? 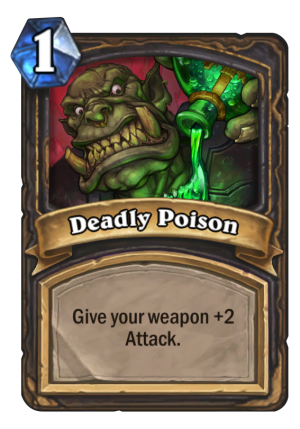 Poison Elemental? Nobody wants that.